Eviction clean up in the Cape Coral, Fort Myers, Lehigh Acres area is one of our specialties. If you are a property owner and/or property manager who rapidly needs to help with getting an income property back in shape for immediate rental? We are here to help get you back on track. 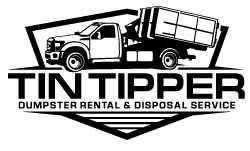 Tin Tipper Dumpster Rental and Junk Removal has been specializing in foreclosure and eviction clean outs for many years. We love to help residential home owners, landlords, and property managers remove all debris and junk that was left on site by your previous tenants. Tin Tipper of Cape Coral has 2 options : Do it yourself with a dumpster Rental or Full service removal to help you get back on track even faster. The main issue and task at hand with eviction and foreclosure is the task of getting that property back in good shape. Just about every foreclosure or eviction clean out we have performed, the tenants have not taken good care of the home throughout the eviction or foreclosure process. The landlord, property owner, REO manager can expect to find furniture, trash, and misc. debris throughout the property, garage, and exterior. 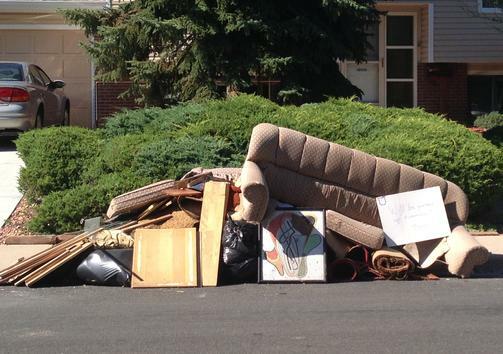 Let Tin Tipper Junk Removal handle the hard work of removing it all! We have teamed up with Sunshine Cleaning of Cape Coral, to get your property back on the right track. Let us handle the debris removal and the cleaning of your property. In 2008, the united states economy went into a recession, sending foreclosure and evictions to a record high. At this time, the owner of Tin Tipper worked for many national asset companies and banks to get properties ready for sale. We have performed many evictions along side our local Law Enforcement and assisted in furniture removal, debris removal, and junk hauling. We decided to add this full service along with our dumpster rentals due to our vast experience in dealing with evictions, foreclosure, and debris removal. Let us get your get you income property back to making you money! 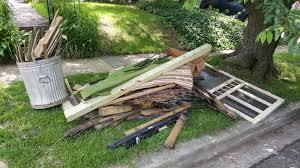 Yes, we offer Full Service Debris Removal, Trucks and Labor! When dealing with Foreclosure or Eviction, you may have to deal with tons debris, junk, and trash that was left behind by your previous tenants, all of which must be removed from your home to start making an income once again. Tin Tipper has a team of individuals who have many years of experience with handling foreclosure clean outs ( REO Properties ) and Cleaning services to homes that have just gone through the eviction process. You can expect Tin Tipper to completely clear an entire home, garage, yard, etc when performing a total trash out. Another service we have added for properties in bad shape has been carpet rip outs and removal at the same time the trash out / clean out was performed. In some instances, the home owner has asked for demolition services to be done as well. You will not find another company in the Cape Coral and Fort Myers Florida area that knows and understand Evictions and Foreclosures like Tin Tipper. Call Tin Tipper now to schedule your eviction, foreclosure, trash out, and clean out.